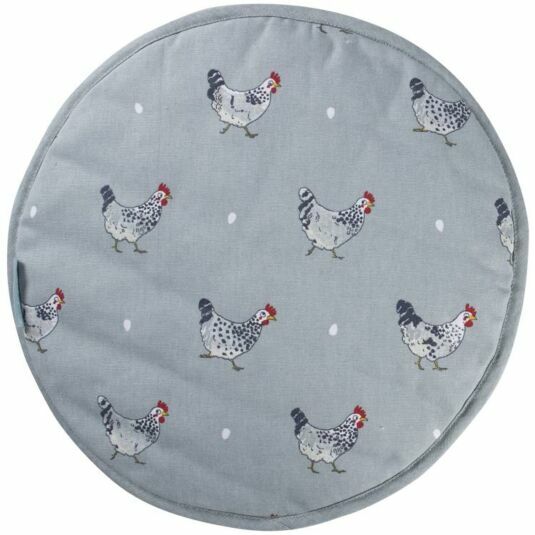 Part of Sophie Allport’s Chicken collection of fine bone china and kitchen textiles, this hob cover is decorated with beautiful illustrations of speckled Maran hens and white eggs. These hob covers can be used to protect your AGA hobs, but they are also good for using as pot stands, and to cover your saucepans to retain heat. Classy, elegant, it will make a gorgeous addition to any kitchen, great for keeping your prized AGA clean and scratch-free. For that extra special gift, add a matching item from the same range, such as a mug or kitchen accessory. These make great presents for friends and family. This hob cover is 100% cotton with a polyfibre inner, and measures 38cm diameter. 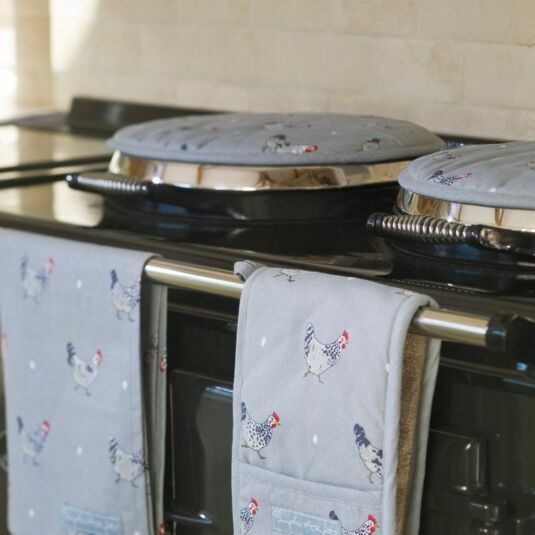 The classic Chicken’s range from Sophie Allport includes a collection of stylish kitchen textiles, oilcloth, tinware and fine bone china. Each featuring Sophie's quirky hen illustrations, they are sure to make a wonderful gift, whether you are a fan of the farmyard animal, or just of Sophie’s delightful illustrations.